With permission from totalhealth Magazine, Volume 22, No. 4. For subscription information, call 1-888-316-6051. Recently totalhealth magazine published a comprehensive article written by Parris Kidd, Ph.D. summarizing the Gonzalez – Isaacs cancer research program. Reader response and requests for additional information have been significant. The following synopsis will be helpful in better understanding the therapy and its potential. In their treatment Drs. 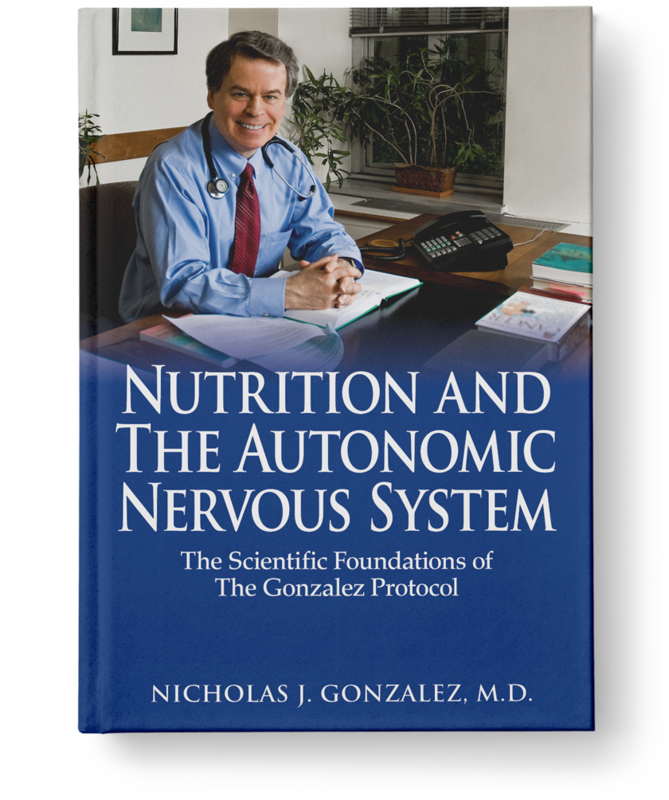 Gonzalez and Isaacs use an intensive nutritional program for the treatment of cancer as well as other degenerative diseases ranging from multiple sclerosis and lupus to chronic fatigue. The treatment has three basic components: individualized diet, individualized supplement programs and detoxification routines such as the coffee enemas. Their approach, they believe, is unique in that they don’t have just a single “one size fits all” program but they tailor each protocol for each patient. For example, they prescribe a variety of diets, depending on the specific make up of each patient. 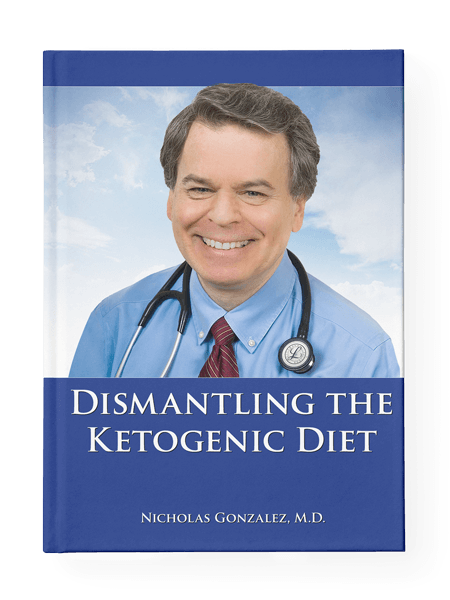 These diets range from pure vegetarian to “carnivore” diets requiring red meat – with the fat – two to three times a day. The supplement protocols are similarly very individualized and over the past 13 years Drs. Gonzalez and Isaacs have designed a line of products specifically for use in their therapy. These products include precise combinations, doses and forms for the various vitamins, minerals and trace elements as well as glandular products and enzymes. Pancreatic enzymes are the core of their cancer protocols but also are an integral part of their treatment programs for non-cancer disease as well. These enzymes and other supplements are available only to their patients and cannot be purchased in health food or drug stores. To date they have deliberately avoided commercializing their products because they believe strongly that commercialization should follow appropriate clinical testing and mainstreaming of their work. They have made good progress toward this goal of acceptance. 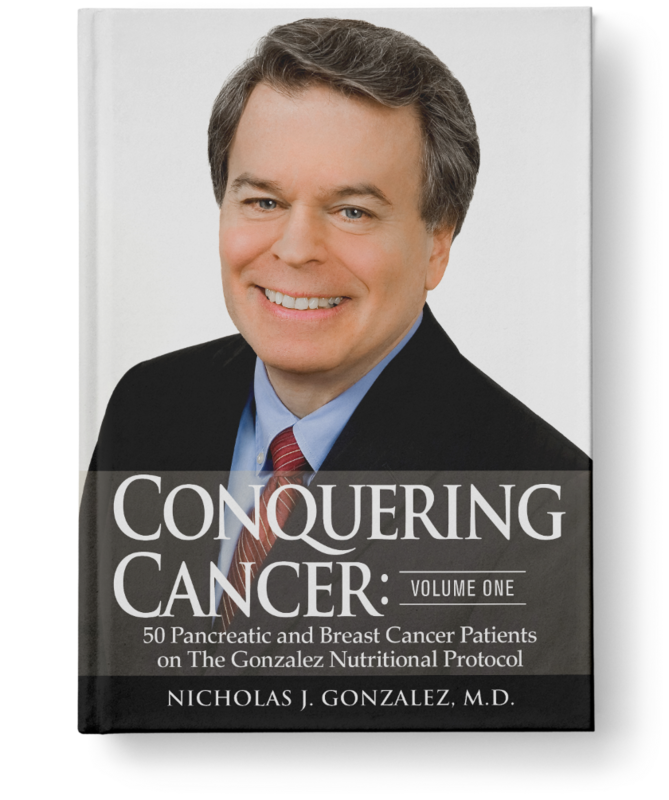 In 1993, Dr. Gonzalez presented a series of case reports at the National Cancer Institute and as a result of that session the NCI suggested he proceed with a pilot study of patients suffering inoperable advanced pancreatic cancer. The trial was funded and conducted under rigorous academic supervision. They completed this preliminary study in early 1999 and subsequently published the results in the peer-reviewed journal Nutrition and Cancer last summer. The data showed an effect that went beyond anything previously reported for this deadly disease in the medical literature. Of the 11 patients followed in the trial, eight of 11 suffered stage IV disease. Nine of 11 (81 percent) lived one year, five of 11 lived two years (45 percent), four lived three years (36 percent) and two have passed four years. In comparison, in a recent trial of the newly approved drug gemcitabine, of 126 patients with pancreatic cancer, not a single patient lived longer than 19 months. As a result of the pilot study data, the NCI, working with the National Center for Complementary and Alternative Medicine at the NIH, then approved funding in the amount of $1.4 million for a large-scale, controlled clinical trial of their approach, again with pancreatic cancer. This study, which is currently up and running at Columbia University in New York, has full FDA approval for all aspects of their treatment. This study, the first major NCI-NIH trial of an alternative cancer therapy, has already created considerable interest. Should the results of this trial prove as positive as the pilot study, then their treatment would become an accepted therapy for pancreatic cancer. Drs. 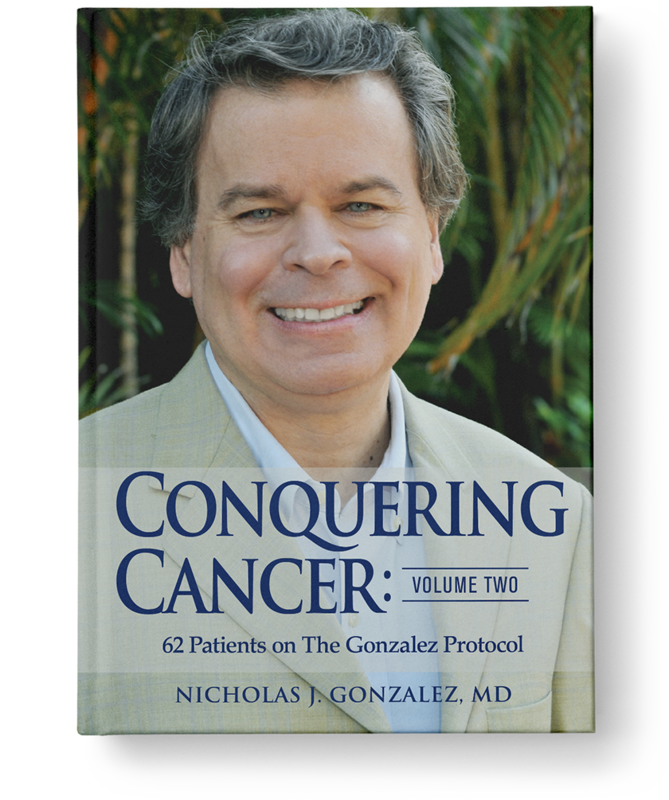 Gonzalez and Isaacs are also in the process of putting together an extended monograph that will describe in detail patients with appropriately diagnosed, poor prognosis or terminal cancer of various types, who have enjoyed prolonged survival (five to 10 years) and/or tumor regression on their therapy. This information should encourage further interest in their work and demonstrate that their treatment warrants consideration for a variety of cancers. As their approach generates interest and, hopefully, eventual mainstream acceptance, they realize their work is just beginning. They have already begun to think about training programs for health professionals to teach the details of their therapy. While they have sought to have their approach accepted as a bona fide medical treatment, they also see enormous possibilities in terms of prevention of disease and general nutritional support. When their work is proven, it should be readily accepted into mainstream medicine as a legitimate approach to cancer and other degenerative diseases. Look for the interviews with five patients in the Gonzalez – Isaacs program scheduled for the September/October issue of totalhealth.